Located in Poitiers, close to downtown and near the tgv railway station, in a serene house. Since 2003 Xavier Hlavacek offers you a variety of health and relaxation treatments, facilitating relaxation of the mind and body encouraging a state of harmonious, general well-being. Since 2014 ″Coocky″ Tassanee Boonsom also welcomes you, during her stays in France, to bring you her experience and expertise in body treatments. It is the result of a long ancestral practice of health and the reflection of a people's education. The Traditional Thai Massage called Nuad Thai or Nuad Boran is based on the foundations of Buddhist medicine. In the villages of Thailand or in structures such as the Hospital of Traditional medicine in Chiang Mai, it is used as a therapeutic practice combined very often with the pharmacopoeia. Thus it looks like Chinese medicine which also applies a combination of treatments with medicinal plants and the massage and acupuncture points. ShivagoHistorically Nuad Thai doesn't come from Thailand but India. Its founder, doctor and Buddhist was known under the name of "Jivaka Kumar Bhaccha", who lived there in the same era as Buddha, more than 2500 years ago. 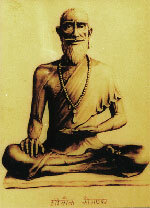 It is said that Kumar Bhaccha's followers came to Thailand during the same period as Buddha's followers around the second and the third century B.C.E. Therefore the practice of Nuad Thai is connected to Buddhist traditions and philosophy. Theoretically, and due to its origins, Nuad Thai is closely related to the yoga philosophy and Ayurvedic medicine. The practitioners and receivers' positions are so similar to yoga poses that we, at times, call it Thai yoga massage. The first aim of this practice is to get a harmonious circulation of body energy. As for the Chinese traditional medicine the vital energy is assimilated by the breathing and the feeding. It is concentrated near the navel and is dispatched into the body through the Sen, energy lines used in Nuad Thai, similar to Chinese acupuncture meridians. It is performed with the patient dressed and on the floor. The practitioner uses pressure with his hands, feet, elbows, forearms and knees, as well as mobilizations and stretching. These are complemented by reflexology action on the feet, hands and head. Traditional Thai massage allows an elimination of toxins, a revitalization of the organism and a gradual rebalancing of all body energies. The body relaxes, the joints open slowly, the breath is uninhibited, and each muscular part becomes flexible, stimulated and stretched. After that, client can enjoy the real benefits of the session. Nuad Thai is a very interesting complement in many sporting disciplines (athletics, martial arts, team sports) or artistic disciplines (dance, music). Finally it facilitates the natural vibrancy of a person's being, the gentle art of communication and reminds us that touching is a natural language. Created by Arno L'Hermitte in 2001, OsteoThai is the meeting of Traditional Thai Massage and osteopathy, a bridge between East and West. It's a form of bodywork that combines extraordinary Thai massage techniques with the precise and gentle touch of osteopathy. OsteoThai is practised on the floor; the patient wears light comfortable clothing. The practitioner uses not only his hands but also his feet, knees and elbows. This makes for a rich and colourful approach. OsteoThai combines Traditional Thai Massage's varied and powerful stretches, using long leverage techniques across muscles groups and its acupressure work on energy lines, with osteopathy's release of tissue tension and work on structural and joint mobility. Abdominal Detox Massage, also known as Chi Nei Tsang in Master Mantak Chia's school, is one of the most profound massage forms in Traditional Thai and Chinese Medicine. This treatment helps to release stress and promotes healing by using techniques directly over the navel and surrounding abdominal area where stress and negative emotions accumulate and congest. Abdominal Detox Massage quickly releases negative emotions, tension and sickness. It's also effective in the treatment of digestive problems, such as irritable bowel syndrome, bloating and constipation. It eliminates toxins in the gastrointestinal tract and promotes lymphatic drainage. Traditional Thai and Chinese Medicine discovered that the internal organs connect with the Forces of the Universe and provide a link between the human microcosm and the universal macrocosm. They realized that negative emotions cause serious damage to both physical and spiritual functions. They understood that each human emotion is an expression of energy and that certain emotions could indicate the negative energy behind many physical ailments. Abdominal Detox treatment uses direct methods to massage the internal organs. Abdominal Detox Massage is the most comprehensive approach to energizing, strengthening and detoxifying the internal organ system. Abdominal Detox Massage clears out negative influences and is particularly useful in relieving intestinal blockages, cramps, knots, lumps, scar tissue, headaches, menstrual cramps, poor blood circulation, back pain, and many other problems. Abdominal Detox treatment may help to eliminate the need for surgery. Coming from Thailand, but inspired from South India, Oil Thai Massage is a variation of Traditional Thai Massage recommended in the maintenance of well-being when Thai massage is not necessary or in addition to. Less intensive than Traditional Thai Massage, it is applied in a relaxed and soothing way on the body muscles. It is practised on the floor, on a futon with pure and natural vegetable oil. This Oil Massage is a complete body treatment, from the feet to the scalp and to the fingers tips, lying on back then on stomach. Each body part is massaged in turns and unifying movements complete this massage. The techniques used are smoothing, different kneading and spinning as well as joint mobilizations, progressive pressure, some touches of reflexology and gentle stretching. The Oil Thai Massage provides well-being and serenity, erases the tension and fatigue, strengthens vitality, smoothes and softens the skin and releases the joints. Relaxation Coréenne Pregnancy is one of the more beautiful adventures in the woman’s life. It is also a time of great changes both physically and emotionally. Throughout the months, the baby is growing, there becomes more and more weight and space in the abdomen and in the life of his mother. The Oil Thai Massage for pregnant woman offers the mother a time of tranquillity and serenity to share with her baby. It helps her feel harmonious with the changes in her body. Preparing for the childbirth, it is also nice to be pampered and take time for oneself through this relaxing massage. The baby is sensitive to moods of his mother and will also benefit from her well-being. This massage relieves tension in the legs, lower back, neck and shoulders. It relaxes respiration, softens the skin, loosens muscles, improves sleep quality and enhances blood circulation. A regular massage during pregnancy can enhance body awareness, decrease fatigue, stress and physical discomfort while strengthening the bond of the mother and child. We strongly recommend to continue postnatal massage for the broad the well-being it provides including facilitation of breastfeeding. 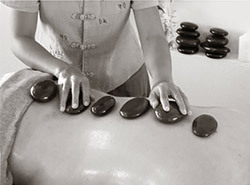 Hot Stone Massage can be traced back over 2000 years and has been practiced by different cultures all over the world. These include Native American women used hot stones as we would use hot water bottles for warmth. Japanese priests used them in amongst their clothes to assist digestion. Recommended in the maintenance of well-being, the Hot Stone Massage is a complete body treatment, from the feet to the scalp and to the fingers tips, lying on stomach then on back. It is practised on a table or on the floor, on a futon, with basalt stones and pure and natural vegetable oil. Basalt volcanic rocks retain and radiate heat for long periods. Soaked in boiling water to be heated to 50-55 degrees these stones are then used as an extension of the hands in order to perform various oil massage techniques. So long streaks of heat flow deep into the body to ease muscle tensions. The result is an intense massage that is uniquely enjoyable and relaxing. This technique creates many positive effects such as improving circulation of blood, inducing deep relaxation and elimination of toxins. The Korean Relaxation is still considered an undiscovered technique; it is closely linked with their culture and is most likely connected with the Chinese tradition. This relaxation method is practised in several Asian countries, including China, Japan, and Korea. The practitioners of this technique all use the same movements where they work on the floor starting from feet to head and working in the present moment, "here and now". On the other hand, everyone practises according to his own temperament, his own culture. In France, this method was introduced by Jean Bernard Rishi in the 70's. In Japan, it has been used through a strict style in the Zen monasteries in order to regulate the practitioners' emotional tensions. In Korea, it is practised in the family for the well-being and it belongs to traditional therapy, like Qi Gong. People lie on the floor and the Korean Relaxation allows them, thanks to soft mobilization and stretching movements, to feel a very deep physical and mental relaxation. It specifically comes from using different sorts of vibration, spreading relaxation waves throughout the body. Each part of the body is carefully and tactfully mobilized through moving rhythms, building a unity. Concerning the corporeal point, the Korean Relaxation allows a releasing of the breath, a freeing of the joints, a stretching of several parts of the body (muscles, fascia and tendons), a stimulation of the meridians, a releasing of muscular tension, a better flow of blood, promoting elimination, a feeling of lightness, a sensation of cleanliness etc. The receiver benefits directly and this sensation may go on several weeks after the session depending on how receptive the client is. Compared to Traditional Thai Massage it is made of a more feminine energy. It allows you to live in a deep relaxed condition, enabling you to get in touch with your intuition and sensitivity. Making the communication easer with yourself and other people in the giving and the receiving, it contributes to the development of the individual. Finally, it integrates perfectly with other methods (massage, gymnastic). In a context of healing, such as a physiotherapy session or Reiki, Korean Relaxation will allow the body to be completely at ease and therefore open for any treatment. Qi Gong is more than 5000 years old and appears in the philosophical concept of Chinese tradition and Chinese Traditional Medicine. In ancient times Chinese people had been learning the Qi (or vital energy) and its applications in the medical field, theory of energy in the body and of Qi Gong, in order to reinforce, and regulate the use of vital energy. This science will stay throughout the ups and downs of its history and will largely contribute to the Chinese natives' vitality and health. Practising Qi Gong emphasizes the energy degrees of the body through attitude, slow and light movements, stimulating circulation of blood in arteries and in veins as vital energy is flushed along meridians. Articulations, tendons, and muscles work without too much effort. 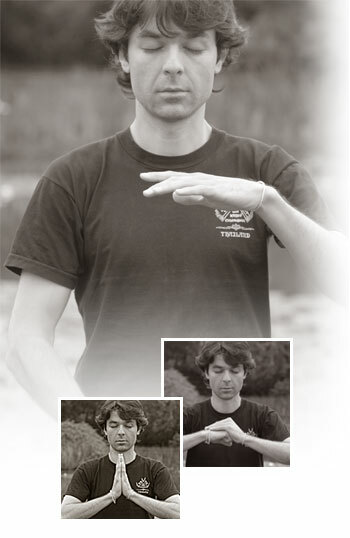 Qi Gong uses the spirit to lead Qi towards parts of the body having to be strengthened or cured. These exercises can be done at any age; the slow movements don't tire the body. A regular practice during life gives good agility until old age; it is said that Qi Gong increases one's life expectancy.